Raising Californian Rabbits for the freezer. 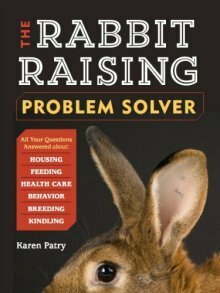 We are first time rabbit owners and have no idea what the recommended size/weight/age to harvest the babies? They are now 12 weeks old and about 4 lbs. Since these rabbits are larger than the wild ones, just wondering? Market weight for fryers is 4.5 lb - 6.5 lb. These weights might vary somewhat depending on the individual processor. By 12 weeks old, I'd think your fryers should be at least 5 lb, maybe more. Are you free-feeding commercial pellets? Were these our rabbits, I think we'd set a cut-off date of 12 weeks, and butcher them by 12 weeks even if they're only 4 lb. You can do this if you're putting them in your own freezer (they'll be good and tender); a processor might not take them if they are not within their desired weight specifications. Try finding other meat rabbit breeders in your area so you can get some feedback relative to other factors in your rabbit husbandry practices. Plus, you might also consider throwing some New Zealand Whites into the mix. NZW are a slighter bigger breed that have already been selectively bred for the last 50+ years as meat producers. Until then, you can still selectively breed for faster weight gain by saving the youngsters for breeding that get biggest, the fastest. In a few generations, your fryers might reach 4.5 pounds by 10 weeks instead of 12. Its great that you didnt lose any to the heat, it is the main killer of rabbits, but that can definitely explain the slow weight gain. Do you have can fan set up on them. If that is unrealistic you can also put a basin of water on top of a cage with a burlap sack draping out down the side of the cage. If you put that on whatever side the wind comes from it will act as janky air conditioning.